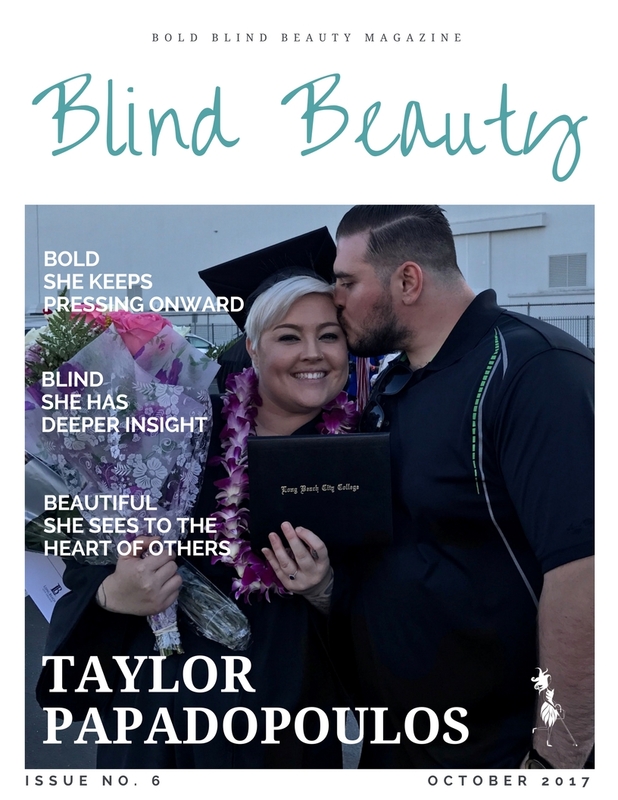 Taylor is a Woman On The Move here at Bold Blind Beauty and can be followed on Instagram @mrspapadopoulos. Description: Featured image is a mock magazine cover titled Blind Beauty. Taylor Papadopoulos is on the cover proudly displaying her degree in her left hand, holding a bouquet of flowers in her right, as her husband kisses her cheek.